When the word "YouTube" passes through your ears, what comes to your mind first? Some of the most common phrases might come by are video, music, money, pay-per-view, popularity and so on, but the most important points are money and popularity which YouTube gives you. How are you planning to monetize your YouTube channel when people don't watch or click on ads these days? According to latest research 47%, viewers block ads or skip ads on YouTube, which must be a matter of big trouble for you as ads are the only primary source of income from YouTube known to people. You don't have to let your hard work and passion for making YouTube videos go waste simply because people don't watch ads anymore. There are new and lesser known ways which can help you make more money than Adsense alone can ever give you, i.e., Influencer Marketing. Influencer Marketing is getting a lot of attention worldwide because of the generous money it offers. Once you get a number of views and subscribers for your channel, you too can tie-up with brands and make videos for their brand promotion to earn money on YouTube. Influencer Marketing is the newest form of advertisement which offers promising career growth in the video promotion era. You might have never heard of Influencer marketing but you must have seen examples of Influencer Marketing at one time or another. You must have seen famous YouTubers using a product of any brand in their YouTube videos, giving reviews about them or simply making a video about how to use any specific product and so on. Most of such the videos which lay specific focus on any brand and their products which falls under the category of Influencer Marketing. These brands watch out for potential YouTubers having a high retention period for their videos and a plenty of subscribers for the promotion of their products and in exchange, they reward the vloggers with an exciting amount of money or freebies. So, now it is the time for you to move over the regular way of earning money on YouTube through Adsense and watch out for this exciting opportunity of becoming an Influencer Marketer and tie-up with brands to promote them and your channel itself. Wondering how to approach brands and get sponsored to make promotional videos on YouTube? You can do it just by following 2 simple steps mentioned below. 1. Keep an eye on sites of all the brands you want to tie-up with. They usually give away the info about their influencer campaigns on their sites. 2. Make proposal letter particularly designed for the brand requirements, your brand proposal is what they use to decide whether you have the potential to drive their sales by targeting the audience in a right way through your YouTube videos or not. So, make an impressive proposal letter. 3. It is highly probable that you never hear back for your Influencer marketing campaign proposal from the brand's side. To play safe and explore various options for Influencer marketing, you can find a pool of best brands for Influencer Marketing Tie-ups on Viral Bao. Viral Bao is a host to all the top Influencer Marketing brands at the click of your button. Now, you can too easily find out the brands to take your YouTube channel up to a high level and easily monetize your YouTube channel to earn more money online. 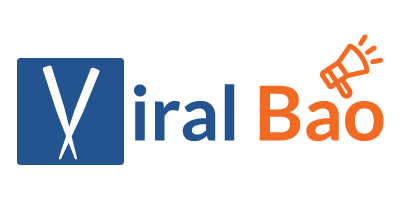 On Viral Bao, you not only get brands for YouTube marketing, but you also get the best support of every kind to take your channel to the top without any additional cost. Now that you have finally signed a brand sponsor deal, what next? How to make a video that can actually drive the sales of the brand and make your sponsorship campaign a big win-win? All you have to do is follow these points to find out how. 1. Don't make an ad. Over-promoting a brand in a video looks like an ad which your audience will never like. They will know that you have been paid to promote and a negative image of the brand will dwell. Mention the product only once or twice in your video for few seconds. 2. Be honest when sharing your opinion about the product, don't fake it. We all have the judgment quality to spot fake reviews. 3. Find creative and bizarre ways to introduce the brand in your YouTube video, not just regular "hi I bought this product and it is amazing" kind of way. 4. Be yourself. Just because you are making a sponsored YouTube video, doesn't mean you have to act differently, people love you for who you in your videos. So keep your charm intact and don't make a video like you are doing anything different, but making just a regular YouTube video. 5. Learn from other successful Influencer Marketing campaign examples to get a gist of the entire process of sponsored video making. You can surely benefit vastly if you smartly follow all the points to enter into the world of Influencer Marketing. YouTube is a great place to make way for your talent if you play smart, people are making millions from it. Go ahead and monetize your YouTube channel with influencer marketing than just Adsense alone, the perks are unlimited.